Is it true, as reported by the U.S. Public Health Service, that 98 percent of all Americans have some form of dental disease? And that many, if not most, of these dental problems are related to other sometimes serious health problems? By bacteria count, the oral cavity is one of the least sanitary parts of the body, he points out. “Complicating the dental health picture even more,” he says, “are the issues of mercury-silver amalgam fillings, nickel crowns, bio-incompatible dental materials, electrogalvanism caused by the use of dissimilar metals, and dead teeth—that is, root canals—all of which can potentially contribute to health problems throughout the body. Most people are not sensitive to these things, but many are. 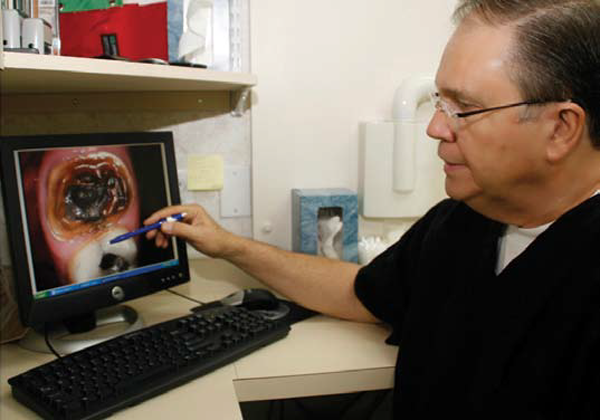 Dr. Willock—traditionally trained as a dentist at UNC-Chapel Hill—is relentless in his pursuit of new knowledge on behalf of his patients. He is a member of the International Academy of Oral Medicine and Toxicology (IAOMT), and recently completed an 83- hour post-graduate course in environmental medicine for the health care professional at the Southwest College of Naturopathic Medicine, in Scottsdale, Arizona, in classes made up of physicians and naturopaths. He was the only dentist in the class. Shortly after completing this work, Dr. Willock went to Irving, Texas, to study with Jerry Tennant, MD, ND, at the Tennant Institute for Integrative Medicine, whom he describes as “one of the great pioneering thinkers in the evolving field of integrative medicine. “Dr. Tennant was among the first researchers to make links between the health of the teeth and the health of other organs in the body,” notes Dr. Willock. “Now all of medicine is beginning to recognize the effects of dental materials and infections on the rest of the body. Most recently, Dr. Willock has become a student of homeopathy specifically as it relates to oral health. It is a long-established system of healing that seeks to cure illness using remedies made from plants, mineral, or animal products. “These remedies are prepared by a process of repeated dilution,” he explains, “which renders them capable of stimulating the healing process. It’s not a method of killing germs. Rather, it is a method of strengthening the individual’s own healing capacities. “There are many homeopathic remedies that have been found effective in treating various dental conditions,” he explains, “and all of those I’ve been studying carry the seal of FDA approval. There are homeopathic products specifically designed for dentistry. “I remain a student of homeopathy and integrative dentistry, and I am committed to studying the potential of any procedure or therapeutic approach that has a high likelihood of being beneficial to my patients— never on a trial basis, but only after I am convinced of the efficacy of an approach that I feel clearly has the potential to be of great value to the patient.